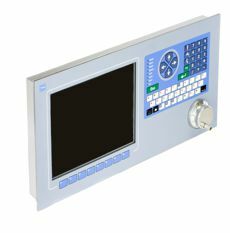 Portrait CNC machine controllers, door mounting or in a convenient tough industrial case for machining applications. The controller supports a large range of G code commands and planned for release shortly is conversational programming. This is particularly good for machining part that are normally machined manually or where CAD drawings are not available. 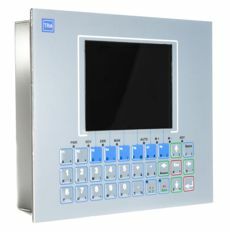 The PMC4 is a universal control system suitable for motion control, general automation, CNC, machine controllers, science and data recording and for new or retrofit machines. A publications including: milling machines, lathes, routers, grinder gas cutter etc. 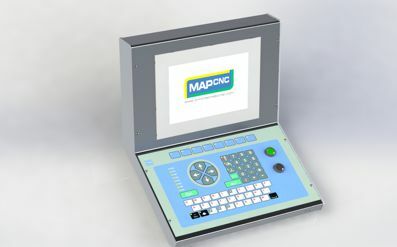 Landscape CNC machine controllers for new or retrofit machines. Applications including: milling machines, lathes, routers, grinder gas cutter etc. Dosing uses feedback from flow meters to control pumps in order to mix ingredients and used in water treatments, favoring etc. The ALC100 is capable of being customized to sit individual needs. There are 4 pumps control channels and the system can take as many as 16 flow meter inputs. There is also provision for tank level sensors to control and record tank contents. 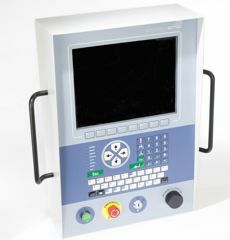 Designed to be used on the shop floor where ergonomics make the controller easy to use as the keypad is positioned at a comfortable angle. Designed mainly for machines like lathes and milling machines. Product will be available early in 2019. Wiring is expensive! 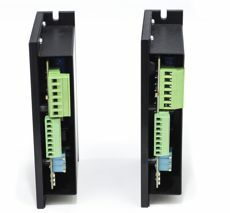 to reduce the burden of wiring TRM offers a range of Interface boards with power supplies, safety circuits, temperature control, drive interface etc. Custom cards are available for OEM applications. TRM offers a custom controller service. 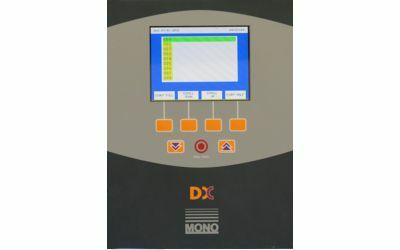 From motion controllers to oven controls what ever you need contact us. Customization is from overlays to a full custom controller. Cables and wiring are areas that cause difficulties for many machine builders. 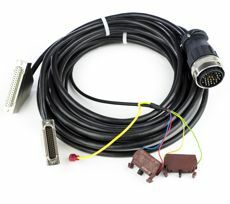 Motion controllers especially have complex cabling needs, by offering custom pre-made cables and interconnect boards, the cost and difficulties of wiring machines is dramatically reduced. Compact current mode drives built onto a large heatsink capable of driving brushed DC Servo motors continuously up to 80 volts and from 5 to 20 amps depending on the model. Part of a complete service is the provision of a fit and forget service. 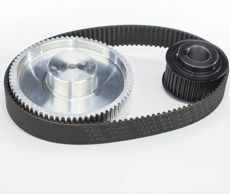 TRM can supply metal work to mount a controller, motor or supply ready made pulleys and gear boxes. 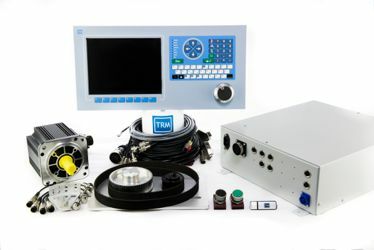 TRM has been designing and manufacturing industrial controllers for more than 22 years. 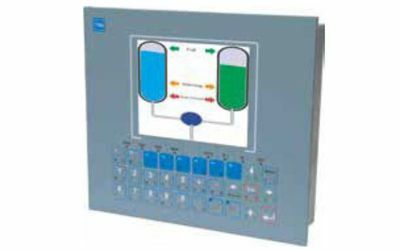 Our controllers can be used in almost any automation process, we get involved in the control of process that involve controlling Motion, Current, Voltage, Temperature. 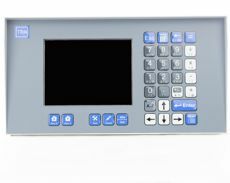 Our standard controllers include a digital recorder that can be set up with up to 8 channels. 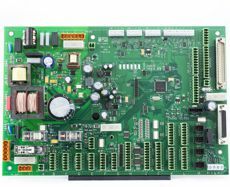 We make interface boards which include inputs for thermocouples, platinum resistance, load cell, TTL digital there are also 0 to 20 milliamp. Weather you are a OEM, machine renovator, scientific instrument company or you want to automate, we can help! Please call us.